One transfer story has dominated European Football this summer, and one player seems set to dominate every Italian football headline for the foreseeable future. 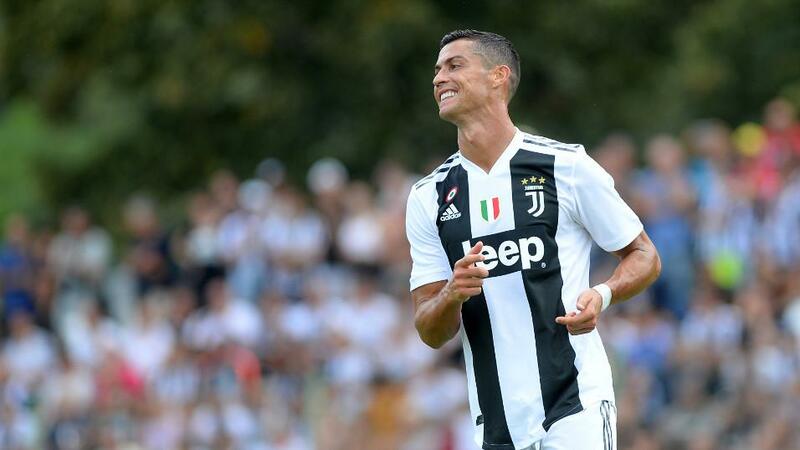 In case you hadn't heard, Cristiano Ronaldo has signed for Juve, and they're red hot favourites to make it eight titles in a row. Juventus have been very kind to this column over the years, and the mental fortitude that they have shown over the past seven seasons has been admirable. When they've looked weak, they've found strength. When they've been challenged, they've responded. When questioned, they always seem to find an answer. That, more than any particular brilliance in their play, is why they've dominated Italian football in recent years. Juventus are 4/9 on the Betfair Sportsbook to retain their title, and that's not a price which appeals to me. They're the likeliest winners, but not to that degree, and there are enough potential holes in them for us to go looking for an alternative. Juventus have strengthened, but they needed to: they were ultimately fortunate to win the title last season, as Napoli crumbled in Florence after that mad Derby D'Italia, and I would question, crazy though it may sound, whether they have made themselves stronger where it matters. Goals have never been their issue. They were the second top scorers in Serie A last season, and they've been one of the top three highest-scoring teams every year that they've won the title. The idea of Juve as some dull, defensive unit is a long way in the past, and finding quality in forward areas has never been their problem. It was their team unity that started to fracture last season, as they lacked a little cohesion, were short of a leader or two, and defensively were unconvincing at times. The stats will tell you that they were near flawless again, the reality was that they got away with a below average campaign, largely because of Napoli's failure to invest in a proper squad, and Maurizio Sarri's subsequent reluctance to rotate. And because of the number of teams who go into games against them expecting to lose. In Ronaldo, they have of course signed a wonderful player, but there's no guarantee that he'll be a hit. Serie A is very different to La Liga, and while he'll make hay potentially against any smaller team that dares attack Juve (I'm talking about you Sassuolo), can he score the winner in a tight, defensive game against Roma? Or against a well-organised minnow, a Genoa? He'll have to get used to playing at a slower pace, against tactically astute teams. And it may take a while. To use recent examples, Spain fell into the trap of offering him space as they launched their own attacks in the World Cup Group Stage, but Ronaldo was less effective against Iran and Uruguay, who closed him down doggedly. There are a couple of Uruguays, and quite a few Irans, in Serie A. More than in La Liga. We'll see. To make it clear, I'm not writing off Ronaldo, just suggesting that he can't win this League single handed. And I think signing him is a poor, and slightly desperate decision. I'm with the FIAT workers on that one. Juve have clear quality elsewhere in Miralem Pjanic, in Juan Cuadrado and Douglas Costa, in Paulo Dybala and the new men Emre Can and Joao Cancelo, and in Alex Sandro and Mario Mandzukic. They have a new goalkeeper in Mattia Perin, who I like without being entirely convinced by, and they have the returning Leonardo Bonucci, who must bring with him some bad blood. A dressing room with him and Ronaldo's ego featuring heavily isn't necessarily going to be a happy one. So there's enough there, just enough, to go looking for another answer. I can't have Napoli again, much though I admire Carlo Ancelotti. They haven't added notably to their squad, and the loss of Jorginho will be keenly felt. Milan have dealt sensibly, Lazio cautiously, and while they'll both be Top Six contenders, I can't see them doing better than that. So that leaves us with two candidates. Roma look exciting, but the loss of Radja Nainggolan will hurt, and there's no guarantee that Javier Pastore will stay fit, that Justin Kluivert is as good as people say, that Steven Nzonzi is the answer in the centre of midfield. Which leaves us with Inter, who continue to be persistently linked with Luka Modric. Even without him, they are the ones who have done the best business of the summer. Stefan de Vrij and Sime Vrsajlko make a lot of defensive sense, Nainggolan is the best midfielder in Serie A, Kwadwo Asamoah will finally get a regular first team place, and Keita Balde, despite by all accounts being a "handful" off the pitch, is a wonderful talent. I like what I've seen of Lautaro Martinez, and he'll be a solid understudy to Mauro Icardi. If Inter weren't in the Champions League, I'd really fancy them to topple Juve. And that's the sticking point. The fixture list has not been kind to them, especially as we head into December, and they'll be under a lot of pre-Christmas pressure to get results in both competitions. Whether or not they withstand that will be the key to their season. I'm tempted to back them to win Serie A at 6/1, but the intelligent bet, the one that stands out, is to take advantage of Napoli's weakness and back Inter at 15/8 in the "Winner without Juventus" market. Boring? Of course. Sensible? Probably. It's always fun to have a look at the Capocannoniere market too, and with Ronaldo 4/6 to finish the season as Top Scorer, I'll look elsewhere. He may underachieve, and he certainly won't score all of Juve's goals: just look at Dybala's Serie A record. As a two-time winner of the award, and a man with a rock solid goal-scoring record in this division, Mauro Icardi is criminally long at 15/2, and now that Andrea Belotti is fit again, I think that he also looks big at 33/1. Whatever happens, this season will be memorable. It won't be a cakewalk for Juve and Cristiano, and Inter, rather than Napoli, look likely to be the team that pushes them all the way.